President Barack Obama, aiming to allay concerns about the viability of his signature healthcare law, said on Friday enough people have enrolled to make its insurance marketplaces stable. The Obama administration is mounting an enrollment drive aimed at adults aged 18 to 34, whose participation in the marketplaces is vital to the success of the Patient Protection and Affordable Care Act. In his latest bid to persuade people to enroll before a March 31 deadline for 2014 coverage, Obama found himself on the defensive, noting for example that some enrollees might have to change doctors. The WebMD interview was part of Obama’s recent push to reach people beyond traditional media. On Tuesday he made a direct appeal to the youthful audience of comedy website Funny or Die by appearing on its talk show parody, hosted by comedian Zach Galifianakis. The Obama administration is targeting younger Americans because they are cheaper to insure and can compensate for older policy holders who have been able to obtain affordable insurance due to the law, known as Obamacare. 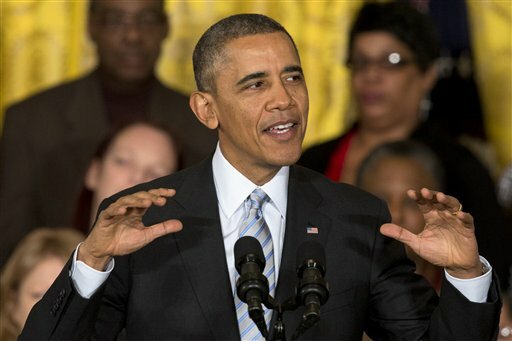 “There are pluses and minuses with having a private insurance system,” Obama said. His administration said on Tuesday that 4.2 million people have signed up for private health insurance under the law and that total enrollment could surpass a forecast of 6 million by the end of March.